A highly advanced, super compact cycling computer. 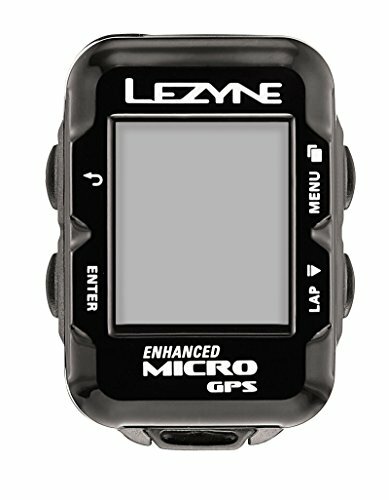 The Micro GPS is a highly advanced, super compact cycling computer. When paired with the free Lezyne ally App (iOS or Android), the device turns into a feature-rich system offering turn-by-turn navigation, live tracking, Strava live segments and email, text message and phone call notifications. The Micro GPS can also simultaneously pair with ant or Bluetooth enabled power meters, heart rate monitors and speed/cadence sensors. An advanced recording system combines measurements from GPS satellites, a barometer and an accelerometer for ultra accurate data tracking. Furthermore, the device weighs only 29 grams, features customizable screen pages and data fields and boasts a battery that can last up to 14 hours on a full charge. Features high resolution, easy to read screen with back light durable, super compact composite construction super accurate, advanced data recording system combines GPS satellites with a barometer and accelerometer simultaneous ANT+ and Bluetooth smart connectivity multiple real-time features when paired to the Lezyne ally four button operation lithium polymer battery provides up to 14 hours of run time Micro USB rechargeable up to 150 hours of ride data customizable fields and page count custom alerts and auto presets weight: 29 grams extremely weather resistant includes x-lock standard mount. If you have any questions about this product by Lezyne, contact us by completing and submitting the form below. If you are looking for a specif part number, please include it with your message.